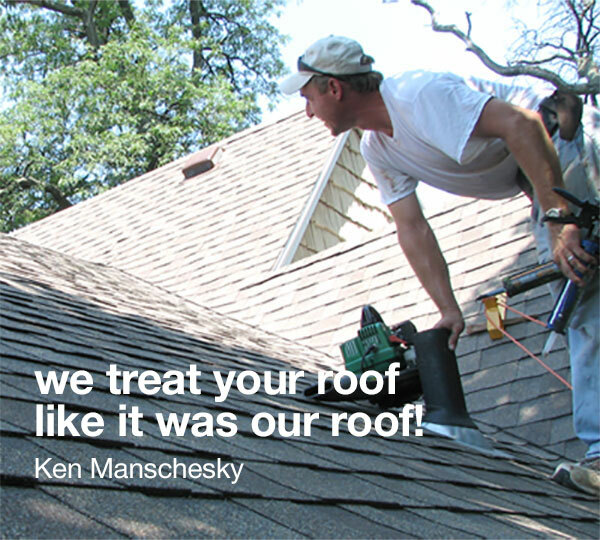 We treat your roof like it was our roof and take pride in the installation and final inspection of this very important element of your home’s structure. A good quality roofer is the first line of defense against the extremes which mother nature can throw your way, especially in the extreme seasons of West Michigan. Besides standard shingle roofs we also offer an option for a “cold roof” vapor barrier system. However this system is now standardized with layered panels through Hunter’s Cool Vent System and makes the job quicker by cutting down on labor and thus causing lower overall cost to the customer. To view examples go to our cool roof page. We also are experienced in rubber for flat roofs and repair of boots and vents. Also, although they come at a more premium cost, metal roofs offer the highest level of durability and longevity. Please feel free to browse our gallery of past jobs we’ve completed for some very satisfied homeowners – and then inquire about your own estimate on our contact page!